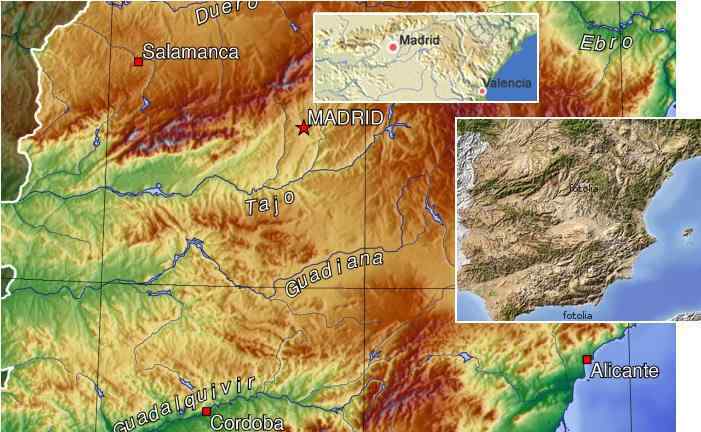 Madrid will find in horror that the oceans and seas surrounding Spain have come to them, sloshing up through ravine and rivers first from one side and then another, and at times from both directions at once, as sloshing in a body of water depends upon its size and depth. Confusion will abound, especially in those who did not learn of the pending shift, with residents likely to scramble to the nearest hill or roof top and find themselves overwashed with water later. Safety is to be found in the highest mountains of northern Spain, away from the cross flow of water.